Another week, another controversial topic at West Ham! The latest coming from David Gold’s opinion on the youth development at Premier League clubs. When I first saw his initial tweet, I thought to myself, Christ here comes World War 3 from West Ham fans and it didn’t disappoint. I do agree the tweet was completely irresponsible and potentially could put players off signing with the academy. In Mr. Gold’s defence though he gets hounded on a daily basis for his thoughts on anything related to our club, so he’s damned if he does and damned if he doesn’t. However when you actually look at the bigger picture of what he is actually saying, he’s in fact saying that the days of 18/19 year old, becoming first team regulars are gone, but they will get their chance at 20/21 if they have developed and shown they are good enough. He’s not wrong in that regard. So why has this changed? Well with the Premier League now a global business, it attracts a lot more foreign players than it used to 20 years ago. At West Ham, we have seen an influx of foreign exports come in, some of have been exceptional, and some have diabolical. However with our squad now having so much competition for places, it isn’t exactly surprising to see how difficult it is for the youngsters to now break through and become first team players during their teenage years. 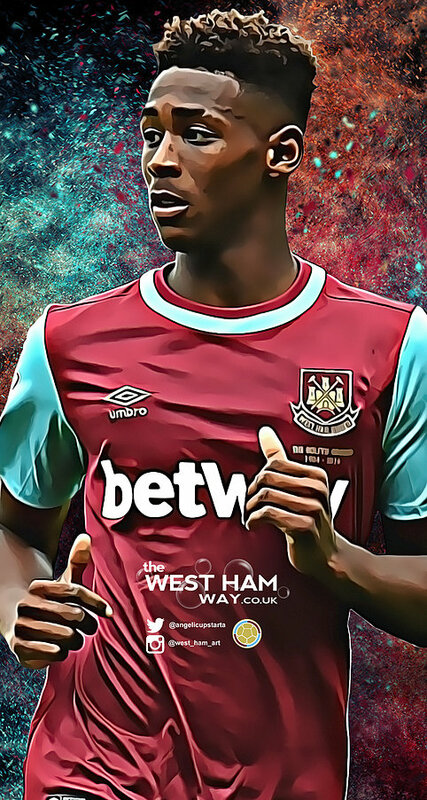 We have 3 extremely talented centre backs in Reece Burke, Reece Oxford and Declan Rice, but in that position we also have 4 international players that are ultimately seen as better options right now than them. Likewise, a lot say Josh Cullen should have been given a chance this year, yet we’ve got 6 central midfielders in front of him, so he wouldn’t of kicked a ball. Therefore the best course of action is to loan them out for a season or two to a lower league club and let them develop, so when it comes to 20 they are ready. A lot of people say well if they are good enough, they are old enough. That’s all well and good to say, but imagine if the owners turned around and said ok, we’ll sell Reid, Ogbonna, Obiang, Kouyate for a profit so these kids play regularly. There would be an absolute outrage and rightly so. Hell even if they sold James Collins, who is arguably the 4th choice centre back, people would be distraught. People also point to how we’ve fallen behind the likes of Spurs, Manchester United and Everton. Is that entirely true? Spurs as a club, like us, have two methods of developing the young players. They give their talented youngsters debuts during their teenage years, then loan them out for a season or 2, until they are ready to feature regularly at 20/21. For example Harry Kane and Harry Winks. They buy from the lower leagues and because they have essentially skipped the loan period by playing at that club, they are ready earlier. For example Dele Ali. Furthermore, they also had the luxury of the Europa league to give these youngsters the opportunity. We unfortunately, screwed up 2 fantastic chances in that competition, which would have been the perfect platform for the youngsters to play. Manchester United, like Spurs have had Europa League football and frankly stumbled across Marcus Rashford due to a horrific amount of injuries in the striker position and to his credit he took his chance in Europe, then in the Premier League. He has however spent most of this season bench warming for a 36-year-old Swedish striker called Zlatan Ibrahimovic, so once again goes to demonstrate my point of foreign talent over youngsters. Everton, this season have to be applauded for Thomas Davies becoming a regular in their team. He has ousted Gareth Barry and James McCarthy and has looked at top quality prospect. However, it doesn’t take a rocket science to work out that clearly Everton don’t have the squad depth in that role, so it was easier for him to breakthrough. As I said earlier Josh Cullen, at 21 has 6 other midfielders in front of him, so no easy task to get in the match day squad let alone the team. So what do I believe needs to happen with our talented youngsters next season? Well personally, I think that Oxford, Rice, Samuelson and Martinez need to go out on loan. We need to make sure they play week in, week out, which is where we did fail quite badly this season. I also think that the club would be doing the right thing and sadly selling James Collins, so that Reece Burke who I believe will be at the heart of our defence for years to come, the chance to play regularly. I also would sell Havard Nordtveit, who bar a couple of performances has majorly struggled, allowing Josh Cullen a chance to impress. In conclusion, we have to accept that times have unfortunately changed. We have plenty of quality young players in our academy. That’s evident with winning the league cup last season and the playoffs this season. We just have to be patient; the players’ time will come. I just hope that one day the Premier League and Football Association enforce a rule that makes clubs have to have a certain numbers of youth players in their match day squads, ending the abundance of average foreign players that fill up our beloved clubs. Excellent piece. A level-headed look at what was behind Gold’s comments. I would also point out dg wasn’t stating club policy, as some people have chosen to believe. He was just reflecting on the PL in general.